The Baby Sable is a gentlemans knife size version of its brother, Big Sable (KO19070). Featuring the signature crescent moons and stars, the Baby Sable is equally impressive though smaller in size. 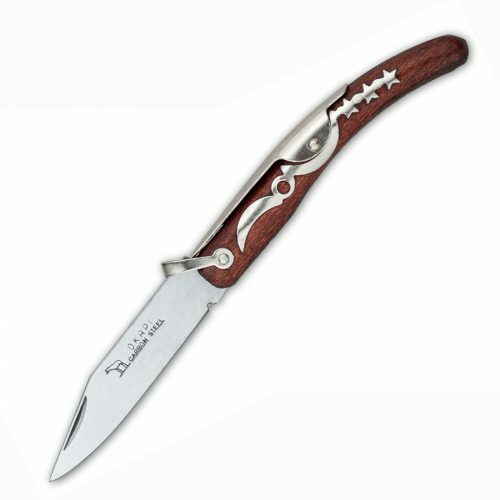 The Baby Sable is similar with the same two-handed opening and closing slip joint knife design, the blade snaps closed with a nice crisp pop from the tight backspring. Comfortable in the pocket, the Baby Sable will be your companion in the wild or the concrete jungle.